TWO of the nation's most secure national security agencies have been attacked by hackers. The nuisance hacking group "Anonymous" today attempted to hack into both the Australian Security Intelligence Organisation (ASIO) and Defence Signals Directorate (DSD) websites. 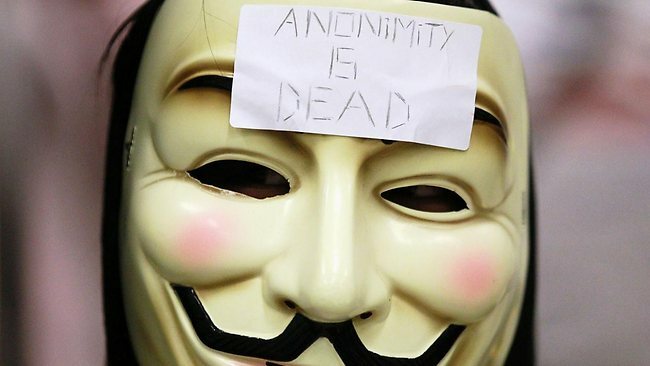 "Anonymous" announced the attack on Twitter and claimed that ASIO's website would be down for the rest of the day. It also stated that it was attempting to hack the DSD site. An ASIO media source provided a two-line response to inquiries from News Limited saying that the organisation was aware of "technical issues" with its public website. "ASIO's public website does not host any classified information and any disruption would not represent a risk to ASIO's business," it said. ASIO is responsible for domestic security and DSD monitors overseas electronic communications under the motto "Reveal their secrets - protect our own".